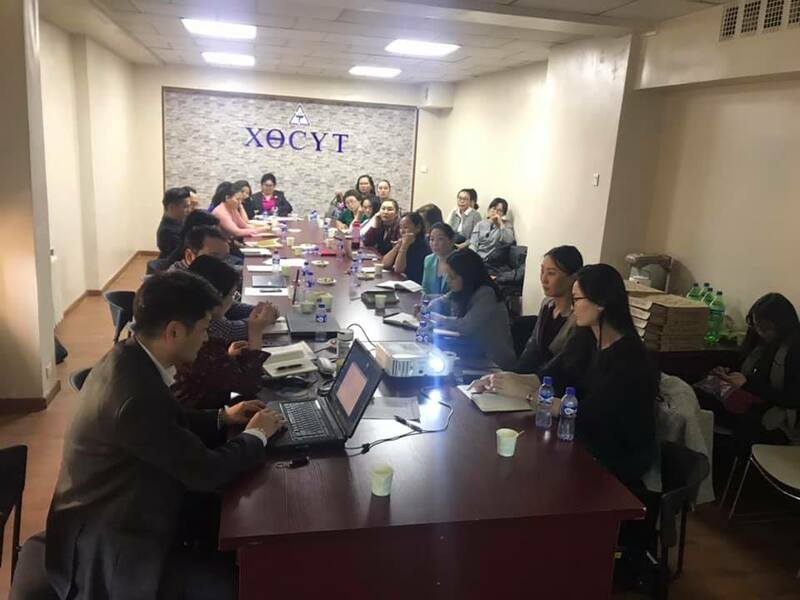 To commemorate this year’s World TB Day, STREAM Mongolia’s community advisory board (CAB) participated in a meeting with local NGOs, government representatives and IGOs. This provided the opportunity for the organizations to discuss activities and to promote policy change. The event was organized by the National Center for Communicable Diseases (NCCD) and National Tuberculosis Program (NTP), with the support of the World Health Organization (WHO). Eleven NGOs and government representatives working in public health, and specifically on issues relating to tuberculosis (TB) attended the meeting, along with representatives from The Global Fund, Capital City Health Department, BZDistrict, Enerel hospital and the NTP. STREAM CAB Mongolia particpates in World TB Day event to discuss next steps for prevention and treatment of TB. During the course of the event, the NGOs introduced their ongoing activities to tackle TB, the challenges they face and future plans to raise awareness, reduce stigma and eradicate TB. Mr Bayanmunkh, from the NGO “ULZIIT ASAR,” explained the challenges of working to support people with TB who have an addiction. These people have two illnesses. One day they take their medication and the next day they just vanish. That is why treatment outcomes for these people are so very poor. Dr. Tsgot, STREAM Trial Coordinator, took the opportunity to provide a brief introduction to the STREAM CAB and its most recent activities, including the dissemination of the final STREAM Stage 1 results. She also made the most of this occasion to advocate for NTP leadership to acknowledge the importance of work of NGOs in the fight to eliminate TB. In 2017, the National TB guidelines didn’t include anything about the importance of the work carried out by NGOs or civil society. I hope the updated national TB guidelines will acknowledge and include the roles and responsibilities of NGOs, civil societies and the private sector in the fight against TB. NGOs are ready to work alongside government organizations to end TB. Last year, many NGOs carried out screening but none of these activities were communicated to us. From now on we should talk about cooperation, fundraising and how to overcome our challenges together. With this aim in mind, stakeholders agreed to establish a joint working group of government and NGO representatives. The objective of this group will be to improve coordination among those working in the field of TB prevention and treatment. The group will agree on common themes and hold joint activities, such as fundraising and advocacy events. guaranteeing the sustainability of their work through strong partnerships and collaboration. Only this can improve health policies in the long run. To read more about STREAM Mongolia, click here.